While it is a seller’s market, not everyone selling will get to take advantage of today’s hot residential housing market. Buyers have been and will always be picky! If you want to get top dollar for your home, you must be competitive. Just go to www.Zillow.com and type in your address. Within a very short time, you will get a visual tour of what your home must look and feel like to be the recipient of top dollar for your home. Updating your home to current market realities will demand time and money. Since this is a great market for home construction as well, just try to get a litany of contractors to even provide you with a bid to remodel kitchens, bathrooms or even paint anything. It will take more than a simple call to Home Advisors or Angie’s List to get this done in a timely manner. And, don’t forget about the cost. Getting the money from your home equity will take time to set up and costly to finance no matter how quickly the home sells. Going it alone or trusting a real estate broker to do it for you, may push your market ready home out of the hot market timeline. Then you will be facing a lot of equity lost to renovation and selling an updated home in a down market – double jeopardy. 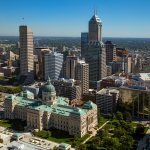 Ittenbach Capital (IC) has developed a win / win solution for home sellers of houses that need a little TLC to get the best value for the home in Indianapolis, as well as, ensure that it will be sold quickly during this hot market. The pros at IC will provide you with a complete home inspection and two great selling options; First, the home inspection. Our pros are well versed with what it takes to get top dollar for a home in today’s marketplace. Second, IC has a dedicated construction team so that your home improvements can be completed within a 4 to 6 week time period. Third, IC will completely finance the improvement process. Sounds too good to be true. Not this time. IC has great relations with home construction suppliers; given the volume of materials we purchase. We get our materials and appliances at a 15% discount. IC also has our own in-house broker, so we can reduce the cost of selling your home as well. So, what does this mean to you? It means that you get the maximum dollar for your home, a competitive house and a quick list to close timeline. Ittenbach Capital will give you a firm price for your home and a trouble-free home preparation and selling process. We will completely handle the entire process, and most importantly, we will sell your updated home within weeks of construction completion. Check us out at www.Ittenbachcapital.com. You will see that the pros at IC have proven experience in taking on “as is” homes and converting them into very competitive prideful homes that demand top dollar in any market. For your free estimate and personal go-to-market home selling plan, call us at 317.731.2540. Here What Our Clients Have to Say About There Experience with Ittenbach Capital.